provide a platform to share and discuss your ideas through papers, exhibitions, plenary talks, tutorials, etc. connect you to the renowned personalities in the respective field of Engineering & Technology. upgrade your knowledge and skills in new and emerging technology and research. provide opportunity to update with the new innovations and products through the exhibition, etc. boost the inspiration to become an IEEE volunteer for advancing the Technology for humanity and so on. TENCON: The 2018 IEEE Region 10 Conference (IEEE TENCON 2018) will be held in the Ramada Plaza Hotel, Jeju, Korea, from October 28 to 31, 2018. TENCON is a premier international technical conference of IEEE Region 10, which comprises 58 Sections, 6 councils, 26 subsections, 663 chapters, and 1,431 student branches in the Asia Pacific region. Prospective authors are invited to submit full paper with four to six pages in double-column IEEE conference format via the conference website http://www.tencon2018.org . TENSYMP was started in 2013 as TENCON (spring) and in 2014, it was renamed as TENSYMP which is normally organized in March-June every year. It is a theme (specialized) based conference. In 2017, it was held in Kochi, India during July 14-16, 2017 (http://tensymp2017.org/). In 2018 it is to be held in Sydney, Australia. The new extended deadline for submission of papers to the Sydney based TENSYMP was the 26th March. A flyer with the required details is available from here. Each year Sections in the IEEE are set goals for membership recruitment and awards are given when Sections achieve these goals. IEEE Central Section has met its 2017 target and has been presented with the certificate below. If you are not already a member of our Section, why not join us now and reap the many benefits of IEEE membership, including the ability to receive up to the minute research literature, join societies within the organisation that deal with topics in your areas of interest and attend special events featuring international experts visiting the region and presenting their research and establishing interactions and collaborations of mutual benefit. 3-4 Short talks (5 â€“ 10 minute) short talks (5-10 minutes), on topics that pertain to our activities. These will be interspersed throughout the evening after the AGM. Mengjie Zhang: "AI and Machine Learning at VUW"
Donald Bailey: "Camera Calibration Using the Hough Transform"
Steven Le Moan: "Hyperspectral Image Analysis". Please note that voting for the positions of Chair, Vice-Chair and NZ Council Chair will be undertaken electronically in the period from 13th November to midnight on Tuesday 27th November. You should receive instructions by email on how to place your vote soon. Contact: Xiang Gui (X.Gui@massey.ac.nz) for queries. Abstract: In this talk, I cover general and basic aspects of IoT. I provide some applications and try to highlight the advantages and smart applications. With this background, I proceed further to highlight one futuristic possibility called Approximate Services. Then virtual sensing concepts and also our path towards implementing virtual sensing will be explained. I end with an application of IoT and virtual sensing concept in an indoor environment. This talk would be interactive and for undergraduate level. Biography: R Venkatesha Prasad completed PhD from IISc, Bangalore, India. During PhD research, a scalable VoIP conferencing platform was designed. Many new ideas including a conjecture, were formulated and tested by developing an application suite based on the research findings. The work involved understanding of network protocols, application design and human computer interface. Part of the thesis lead to a startup venture, Esqube Communication Solutions, headed by professors from IISc. He was leading a team of up to ten engineers, developing many real-time applications including bridging anonymous VoIP calls called Click-to-Talk for portlas. While at Esqube, eight patent applications and three PCT applications were filed along with his colleagues. Esqube was selected as top 100 IT innovators in India in 2006 by NASSCOM and top 100 in promising companies in Asia by RedHerring in 2008. He worked for Esqube from 2006 to 2009 on a part-time basis as a senior design consultant. In 2005, he joined TUDelft as a PostDoc to work on the EU FP7 Magnet Project and the Dutch project PNP-2008 on Personal Networks (PNs). His work involved evolving PN network architecture and foreign communication. The work resulted in an ECMA report. He also started working on Cognitive Radio Networks (CRNs) and 60GHz networks for future homes. He is contributing to IEEE standards on CRNs. Now, his work involves the Internet of Things (IoT), Cyber Physical systems (CPS) and energy harvesting networks. He is working on EU funded iCore project on IoT. The work at TUDelft resulted in around 200 publications. Currently, he is working on IoT/CPS, Tactile Internet, LoRa and has started working on Space Applications with a leading space research organization. He holds a "University Teaching Qualification" for all the four Technical universities in the Netherlands with excellence for his innovative use of Facebook to teach a course. He has delivered many keynotes and lectures. He has supervised 16 PhDs on IoT, Personal Networks, 60 GHz and Cognitive radios. He is also contributing to the academic community by leading many IEEE activities, such as memberships of standards boards, leading technical committees, etc., apart from reviewing and organizing conferences and workshops. He was co-founder and one of main organizers of successful International Workshop on Energy Efficiency in Wireless Networks in conjunction with IEEE ICC 2010, 2011, 2012, 2013, and 2014. He is General Co-Chair, IEEE ICC 2015 Workshop on Next Generation Green ICT. He was Track Chair of Cognitive Radio and Spectrum Sensing of IEEE VTC2013-Spring in Dresden, is Symposium Co-Chair for IEEE Globecom-2015. He was Technical Program Chair of IEEE Symposium on Communications and Vehicular Technology in the Benelux (SCVT) 2014. He is also a member of IEEE TCCN, AHSNTC, TCGCC and TCCC. He has been founding member of TCGCC. He also served as the symposium chair of Track on Green Communications and Computing Networks in GC 2016. He is a senior member of IEEE and ACM. A special event was conducted by members of the student Branch at Massey to celebrate IEEE Day and a brief report is available from here. A report from our student representative is available from here. 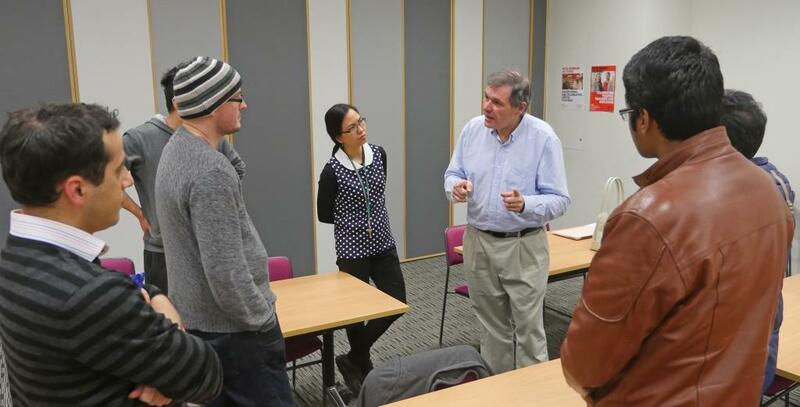 Description: As part of the IEEE New Zealand Central Section, the IEEE Student Branch at Victoria University of Wellington organised the annual postgraduate student presentation event for this year. This one day event showcased postgraduate research in one of the many IEEE fields of interest being undertaken at Victoria University of Wellington and Massey University. Should there be any queries, please contact either Arif Ahmed or Chanjief Chandrakumar. A flier for the event was available from here. The following images reflect the event and include the winner and runner up presenters as well as a group photo of the participants. Title: "What I did while not being on holiday: what went to plan, and what didn't"
Speaker: Duncan Hall - Strategy and Planning Manager. 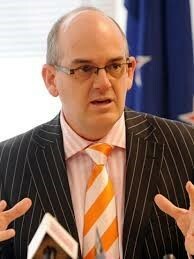 He works in the Information Management Division of the Ministry of Foreign Affairs and Trade. Duncan Hall will talk about various personal adventures in career planning and in having benefited from serendipitous opportunities. Contexts for these adventures range from the ancient epoch of expecting a 40-year employment career, to the contemporary gig economy. He'll highlight some lessons learned along the way, some frameworks he found useful for decision-making, and heâ€™ll highlight some helpful heuristics. A flier with additional details is available from here. Duncan has kindly shared his presentation with us and it can be downloaded and viewed from here. All members and guests of the IEEE Central Section, IET Wellington Network and ENZ Wellington Branch are welcomed to a special annual event, hosted by all three institutions on the morning of 19th September 2018 in Central Wellington. The guest speaker for this event is Tony Ryall, Chair of Transpower, who will speak on the topic of "How Transpower is thinking about the future of the electricity industry in New Zealand". Presenter: Tony Ryall, Chair, Transpower. Location: Wellesley Boutique Hotel, 2 Maginnity Street, Wellington 6011. A brief report on this event is provided in the following link. We are pleased to announce that the annual 2-day workshop of the IEEE Instrumentation and Measurement Society (IMS) New Zealand Chapter will be held at Massey University Palmerston North on 6-7 September 2018. We invite you to participate in the workshop. The flyer and included registration form is available from here. Registration/sponsorship provides workshop attendance, lunch, morning/afternoon teas and workshop dinner. To register/sponsor please fill in the registration/sponsorship form and email it to Karen Pickering (K.L.Pickering@massey.ac.nz) by 27th August 2018. Please encourage and support your students to attend. Student participation is free if they make a presentation. The IEEE New Zealand Wireless Workshop is a premier annual event that brings together industry professionals, engineers, researchers, academics, students, start-ups and policy makers to discuss technologies and issues of interest to the wireless community in New Zealand. The day consists of a series of presentations from participants, with ample opportunity for informal discussions and networking. As always, we encourage expressions of interest from speakers in the industry, government and academia. Suitable topics for presentation include (but are not limited to): ongoing research; emerging technologies; product and system development; industrial experience and strategy; and spectrum policy. The workshop is intentionally informal, and no written abstracts are required, but these can be distributed to participants if provided. A flyer has been distributed that you can download from this location. How energy systems worldwide are changing to meet the new demands of distributed energy technologies, electric cars, and new novel service offerings. The power sector has a vital role in enabling this change, requiring innovation and adaptation on a grand scale. The UK power sector is no exception to this; it is recognised throughout the sector that the power system must innovate in order to continue to successfully operate and serve the needs of society. There is a delicate balance between the need for rapid change and decarbonisation, and the requirement to maintain a reliable, safe, and affordable service for customers. About the speaker: Olivia Carpenter is a power engineer who specialises in new and renewable energy. As a Senior Technical Consultant for Ricardo Energy & Environment, her focus is power network and energy system innovation, working on a wide variety of projects both in the UK and in developing countries. She is also a member of the IET Energy Executive Board, and Chairman of IET Surrey local network. A special public presentation was given by Dr Murray Milner on the topic of a "Superfast Broadband - A Kiwi approach to building a Superfast Broadband Network"
New Zealand has been on a journey to deliver Ultrafast Broadband (UFB) to as many premises as possible following a commitment by the Prime Minister leading into the 2008 elections. This resulted in the formation of Crown Fibre Holdings in 2009 and the launch of the UFB initiative in 2011. The initial rollout was focussed on delivering Fibre to the Premise to 75% of urban premises and businesses by the end of 2019. This stage is now well advanced and will be completed ahead of schedule and below budget. In early 2017, the coverage was extended to 87% of New Zealand premises by 2022, including coverage of more than 340 additional towns. This was followed later in 2017 by the extension of broadband to 99% of New Zealand premises using wireless technologies delivering better than 50Mbps downstream by 2025. This latter initiative also includes extended mobile coverage to an additional 1000km of roads throughout New Zealand, eliminating a large number of recognised "blackspots". The goal of the UFB initiative was to provide consistent 100Mbps downstream and 50Mbps upstream to 87% of premises as a base affordable product and to enable expansion over time to deliver Gigabit and higher speed services with minor incremental investment. In early 2018, Gigabit per second services are already consumed by more than 5% of New Zealand households, so "Superfast Broadband" is expected to rapidly emerge across New Zealand over the next decade. The seminar will provide an overview of this journey to Superfast Broadband and show that New Zealand is becoming a global leader in the provision of broadband services for all of its people. IEEE WIE International Leadership Summit is a global initiative and its purpose is to motivate, inspire and empower women in technology. The summit is a part of WIE's portfolio and it creates opportunities for networking, mentoring and collaboration. The WIE leadership summit was organised for the first time in the Australasian region and it was a successful event that was attended by more than a hundred women from STEM in the region. The two-day program was very well arranged with keynote speech by two leading women from industry and included workshops, activities and panel discussions. The event was attended on behalf of the IEEE Central Section by its representative Kanwal Zaidi who has prepared a comprehensive report that is available from here. IEEE NZ Central Section and Massey University held a short course "Image Processing in VHDL on FPGAs". The course took place in Palmerston North on 4-5 April. Further details were available from the	attached flyer. The 4th IEEE World Forum on the Internet of Things (WF-IoT 2018) was held in Singapore February 5th-8th, 2018 (http://wfiot2018.iot.ieee.org/). As the premier IEEE event on IoT, the World Forum brings together the latest developments in three spheres: (i) from the government sector and multi-national organizations, policies and solutions that affect IoT and its future; (ii) from business and industry, lessons learned from recent deployments, and strategies for the evolution of IoT by practitioners and business leaders; and (iii) from the research and academic community, the latest technological developments in the many fields and disciplines that drive the utility and vitality of IoT solutions and applications. The theme for the conference is "Smart Cities and Smart Nations" chosen in recognition of Singapore's efforts in pioneering and putting into practice the principles behind the Smart City movement. The Conference features an outstanding Technical Program on the latest research relevant to IoT. It also includes five Vertical and five Topical Areas aimed at industry and government participation in dealing with the practical issues behind IoT. The WF-IoT 2018 sought original technical paper submissions on IoT Technologies and Applications. Full details are described in the extended CFP, which can be found here http://wfiot2018.iot.ieee.org/authors/call-for-papers/ and here. The suggested size of papers is four to six pages. Extended versions of selected papers may be considered for publication in the IEEE IoT Journal: http://iot-journal.weebly.com/ . Paper submissions were due: 30 September 2017. Detailed instructions for submissions and proposals can be found here: http://wfiot2018.iot.ieee.org/authors/ . The AGM for 2017 was held on Thursday 2nd November, 6:00 pm at the Zibibbo Restaurant, 25 Taranaki St, Wellington. Approximately 14 people attended the meeting and the agenda was outlined below. You will find the Chair's report by following this link. The Treasurer's interim draft financial report was distributed at the meeting and we shall provide members with access to the Treasurer's final report when it becomes available. The IET and IEEE were pleased to announce a special joint event featuring Dr Graham Ault, of Smarter Grid Solutions. Date: Tuesday 20th June, 2017. Time: 12.20 - 1.20pm â€“ refreshments provided. This talk reviews the international Distributive Generation DG developments and assesses several smart grid approaches to integrating DG. Specifically, Active Network Management (ANM) is explored in greater detail with starting from system and market context and moving through concepts and methods, technologies, applications and implementations. Attendees will be brought up to speed with specific international DG development examples and real case studies of the application of ANM to solve power system and DG customer challenges. Demos of the speaker's company products and projects will be provided and a discussion of all aspects of the talk is welcomed. The Region 10 Distinguished Section Award is given to recognize the excellent work of the Section in the previous year and therefore this year (2015) the awards were called the 2014 awards. The award is presented for three categories, namely Small, Medium and Large R10 Distinguished Sections. Congratulations from Region 10 to New Zealand Central, Lahore and Kerala Sections! 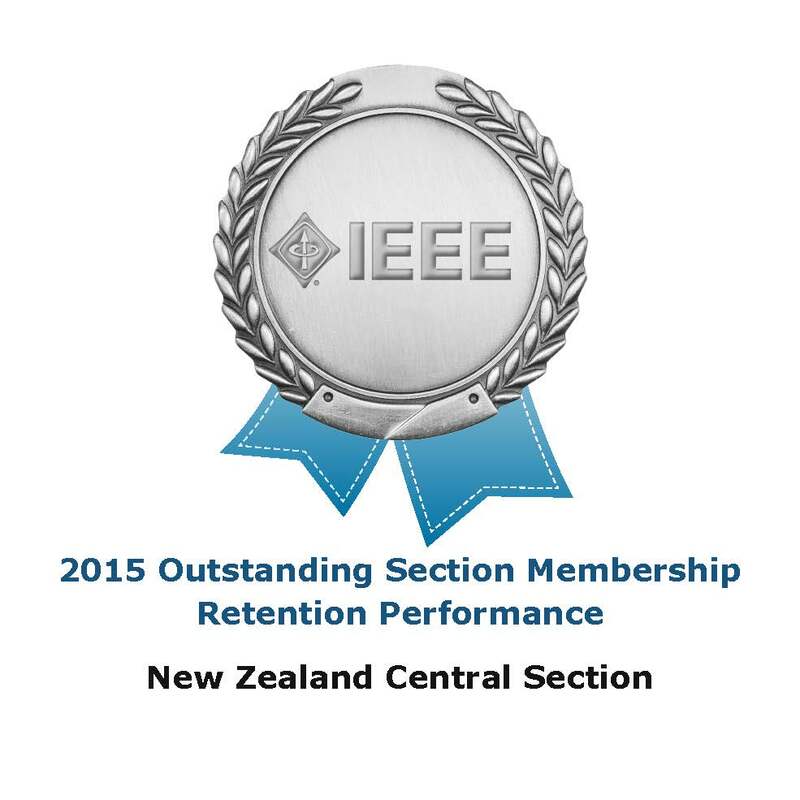 The IEEE New Zealand Central Section has been recognised by the IEEE Membership Recruitment and Recovery Committee for achieving its membership development goals that were developed based on the Section's three year performance which recognises continued growth in our membership during that period. Congratulations Murray Milner and the other winners! A presentation was made to Murray Milner by the current Chair of the Central Section, Donald Bailey, at the recent Joint Institutions Breakfast meeting (report given below). Donald Bailey reads a citation outlining significant achievements by Murray (below left) and presents the award (below right). IEEE ANZSCON 2017 was held in Sydney, NSW, Australia on the 10th and 11th of August 2017. There were exciting opportunities to meet with some of the top leaders of IEEE, including the IEEE President and Region 10 Director, ANZSCON was the place to learn, share, and network. As the ection's Congress and ANZSCON were held consecutively in Sydney, we sent a somewhoat larger contingent to Australia to attend these two events. Their consolidated report is available by following this link. Many IEEE members/non-members, from across the globe, who had an interest in IEEE Student Activities, IEEE Young Professionals (YP) affinity groups, and Women in Engineering (WIE) affinity groups. Flier containing details of the event can be obtained from here. The Computational Intelligence Chapter held a Distinguished Lecturer talk on Thursday 15 August 2017 at 2:00-3:30pm in the Cotton Building CO 350 at Victoria University of Wellington, the IEEE Computational Intelligence Chapter (IEEE New Zealand Central Section) had IEEE Distinguished Lecturer, Prof Carlos Coello Coello from CINVESTAV-IPN, Mexico, who delivered a great talk on "Evolutionary Multi-Objective Optimization using Hybrid Approaches". A full report with photos is available by following this link. The IEEE Sections Congress was also recently held in Sydney, Australia from 11 -13 August, 2017. A joint report from the NZ attendees can be found by following this link. It was preceded by ANZSCON as reported above. Contact: Xiang Gui (X.Gui@massey.ac.nz) or Nurul Sarkar (nurul.sarkar@aut.ac.nz ) for more details. Abstract: As the emergence of new wireless applications, data traffic in cellular networks has dramatically increased in recent years, which imposes an immediate requirement for large network capacity. Device-to-device (D2D) communication is recently proposed as a novel and promising solution for increasing network capacity. This talk first tackles the D2D communication from a perspective on economic issues. In particular, we propose a truthful double auction for D2D communications in multi-cell cellular networks for trading resources in frequency-time domain, where cellular users with D2D communication capability act as sellers, and other users waiting to access the network act as buyers. With a sophisticated seller-buyer matching, winner determination and pricing, our design guarantees individual rationality, budget balance, and truthfulness. In the talk we also propose a promising concept of cooperative D2D communication to improve resource utilization in cellular networks. Based on a novel fine-grained resource allocation scheme, we jointly study relay assignment, transmission scheduling, and channel allocation. Finally, some future direction will be discussed. Bio: Song Guo is a Full Professor at Department of Computing, The Hong Kong Polytechnic University. He received his Ph.D. in computer science from University of Ottawa and was a full professor with the University of Aizu, Japan. His research interests are mainly in the areas of big data, cloud computing, green communication and computing, wireless networks, and cyber-physical systems. He has published over 350 conference and journal papers in these areas and received 5 best paper awards from IEEE/ACM conferences. Dr. Guo has served in editorial boards of several prestigious journals, including IEEE Transactions on Parallel and Distributed Systems, IEEE Transactions on Emerging Topics in Computing, IEEE Transactions on Sustainable Computing, IEEE Transactions on Green Communications and Networking, and IEEE Communications. 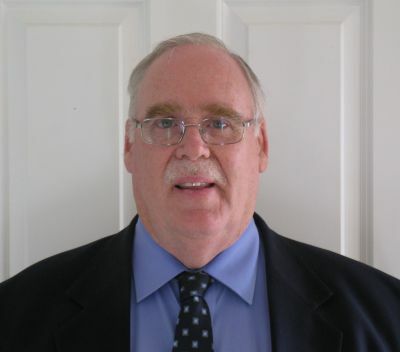 He an active volunteer as General/TPC Chair for 20+ international conferences and Chair/Vice-Chair for several IEEE Technical Committees and SIGs. He is a senior member of IEEE, a senior member of ACM, and an IEEE Communications Society Distinguished Lecturer. 1. We successfully hosted the EEE DL-NSRG Workshop at AUT on Monday 24 July 2017. IEEE DL Professor Song Guo (Hong Kong Polytechnic University) delivered his keynote talk at the workshop. Research students have also presented their work on the day. Despite of the busy time of the year about 40 people within and outside of AUT attended the keynote session. Having ample opportunity for discussion, people have enjoyed networking during morning tea break. The event was co-sponsored by AUT and IEEE. 2. 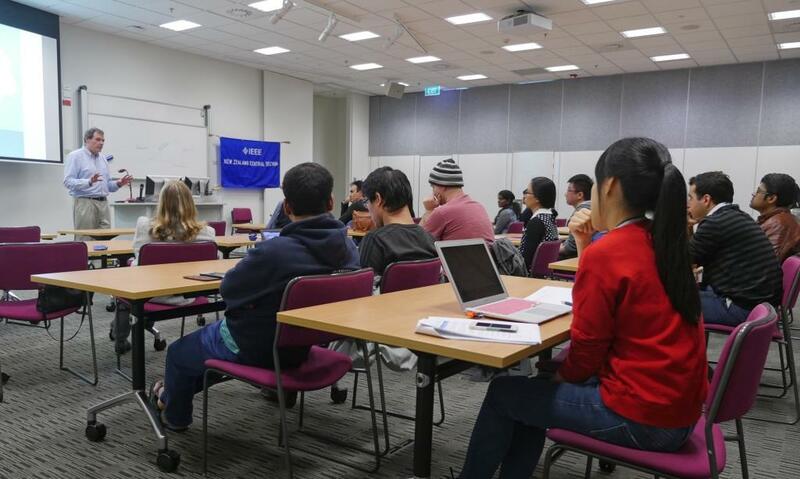 Prof Guo also gave lectures in Wellington, Palmerston North, and Christchurch on 25, 26, and 27 July, respectively. We are pleased to report that the last IEEE Instrumentation and Measurement Society workshop was held on the 20th and 21st of April at the School of Engineering and Computer Science, Victoria University of Wellington, Kelburn parade. Flyer available from this link. A report on this event can be found by following this link. Full details were available through the following link. The 2017 - 2nd Workshop on Recent Trends in Telecommunications Research (RTTR). This workshop was held at Massey University, Palmerston North on Feb 10th, 2017. Details were available from this flyer. NicolÃ¡s ErdÃ¶dy, organises a regular conference, Multicore World here in Wellington. The 6th conference is being held from February 20-22. NicolÃ¡s offered a discounted attendance fee for IEEE Central Section members, down 20% from $1,200 to $960 (ex GST). Further details including an impressive list of speakers were available from their website: https://openparallel.com/multicore-world-2017/program-2017/. The event was well attended by approximately 60 delegates and was very successful. Some of the papers will be put online in due course. 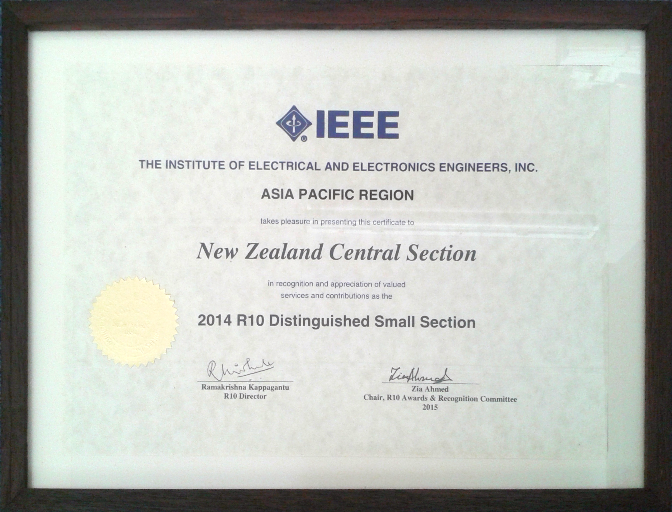 Across New Zealand we celebrated IEEE Region 10's 50 year jubilee on Tuesday 3 October from 6pm - 9pm. We had 3 guest speakers who will be reflecting on a range of contributions of the IEEE to NZ society over the last 50 years. The presentations will be held simultaneously in Auckland, Wellington and Christchurch, with speakers from all 3 venues. Within the NZ Central Section, we had Dr Murray Milner presenting on "A Snapshot of Information and Communication Technology in New Zealand over the last 50 years". A copy of his presentation may be found here. Cost:	Free - All were welcome. A brief report including an abstract of the talk and a bio of the speaker can be obtained from here. Power flow control techniques have been practised, from using inductors, capacitors, transformers and load tap changers in the earlier days of electrical engineering to power electronics-based solutions in recent years. Even though the costs and complexities of the available solutions vary widely, the basic underlying theory of power flow control is still the same as it always has been. The question is which solution one should employ. The answer depends on knowing what the true need is. The power industryâ€™s pressing need for the most economical ways to transfer bulk power along a desired path may be met by building new transmission lines, which is a long and costly process. Alternatively, it may be quicker and cheaper to utilize existing transmission lines more efficiently. The key is to identify the underutilised transmission lines and harness their dormant capacity to increase the power flows to the linesâ€™ thermal limits. Since the commissioning of the first commercial power electronics-based Flexible Alternating Current Transmission Systems (FACTS controller two decades ago, a great deal has been learned about the true needs of a utility for its everyday use and they are high reliability, high efficiency, low installation and operating costs, component non-obsolescence, fast enough response for utility applications, high power density, interoperability, and easy relocation to adapt to changing power systemâ€™s needs while providing the optimal power flow control capability. This was the motivation to develop a SMART Power Flow Controller (SPFC) that enhances the controllability in an electric power transmission system by using functional requirements and cost-effective solutions. This presentation is designed to provide the basic principles of power flow control theory, an overview of the most commonly used power flow controllers, and future trends. The presentation will be of particular interest to all utility power engineering professionals. The required background is an equivalent of an Electrical Engineering degree with familiarity in power engineering terminology. The audience will hear from an expert who actually designed and commissioned a number of power electronics-based FACTS controllers since its inception in the 1990s. Speaker, Kalyan Sen, is a newly selected Fulbright Scholar, is the Chief Technology Officer of Sen Engineering Solutions, Inc. that specializes in developing SMART power flow controllersâ€”a functional requirements-based and cost-effective solution. He spent 30 years in academia and industry and became a Westinghouse Fellow Engineer. He was a key member of the Flexible Alternating Current Transmission Systems (FACTS) development team at the Westinghouse Science & Technology Center in Pittsburgh. He contributed in all aspects (conception, simulation, design, and commissioning) of FACTS projects at Westinghouse. He conceived some of the basic concepts in FACTS technology. He has authored or coauthored more than 25 peer-reviewed publications, 8 issued patents, a book and 4 book chapters in the areas of FACTS and power electronics. He is the coauthor of the book titled, Introduction to FACTS Controllers: Theory, Modeling, and Applications, IEEE Press and John Wiley & Sons, Inc. 2009, which is also published in Chinese and Indian paperback editions. He is the co-inventor of Sen Transformer. He received BEE, MSEE, and PhD degrees, all in Electrical Engineering, from Jadavpur University, India, Tuskegee University, USA, and Worcester Polytechnic Institute, USA, respectively. He also received an MBA from Robert Morris University, USA. He is a licensed Professional Engineer in the Commonwealth of Pennsylvania. He is a Distinguished Toastmaster who led District 13 of Toastmasters International as its Governor to be the 10th-ranking District in the world in 2007-8. Under his leadership, IEEE Pittsburgh Section and its three chapters (PES, IAS and PELS) received Best Section and Chapter Awards. 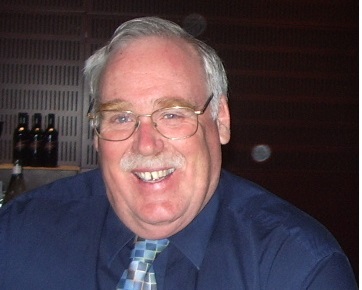 His other past positions included Editor of the IEEE Transactions on Power Delivery (2002 â€“ 2007), Technical Program Chair of the 2008 PES General Meeting in Pittsburgh, Chapters and Sections Activities Track Chair of the 2008 IEEE Sections Congress in Quebec City, Canada, PES R2 Representative (2010 and 2011) and Member of the IEEE Center for Leadership Excellence (CLE) Committee (2013, 2014). He has been serving as an IEEE PES Distinguished Lecturer since 2002. In that capacity, he has given presentations on power flow control technology more than 100 times in 15 countries. He is an inaugural class (2013) graduate of the IEEE CLE Volunteer Leadership Training (VOLT) program. Kalyan is the recipient of the IEEE Pittsburgh Section PES Outstanding Engineer Award (2004) and Outstanding Volunteer Service Award for reviving the local Chapters of PES and IAS from inactivity to world-class performance (2004). He has been serving as the Special Events Coordinator of the IEEE Pittsburgh Section for the last decade. He is the Region 1-3 Coordinator of Power Electronics Society. For a more complete announcement for this event, please download the flyer using this link. Bing Xue has been appointed as an Associate Editor for the IEEE Computational Intelligence Magazine (Impact Factor: 3.647), which is a major journal in Computational Intelligence. Her main role as an Associate Editor is to participate in the discussion of the major scope of this journal, identifying emergent areas and organising special issues, and coordinating the review process of related paper submissions. This good recognition of our Central Section member Bing's work and reputation in Computational Intelligence.